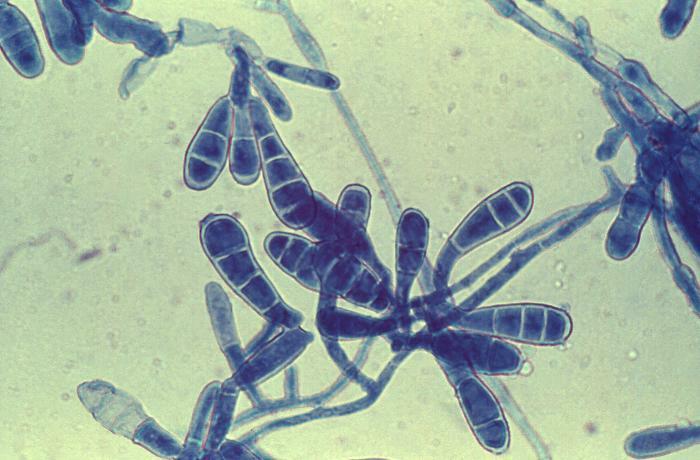 Actinomycetes is a family of bacteria that form long branching filaments that resemble the hyphae of fungus. 1. Normal flora of oral cavity and female genital tract. 2. No person to person transmission. After local trauma or dental extractions, organism invades tissue and forms filaments surrounded by areas of inflammation. 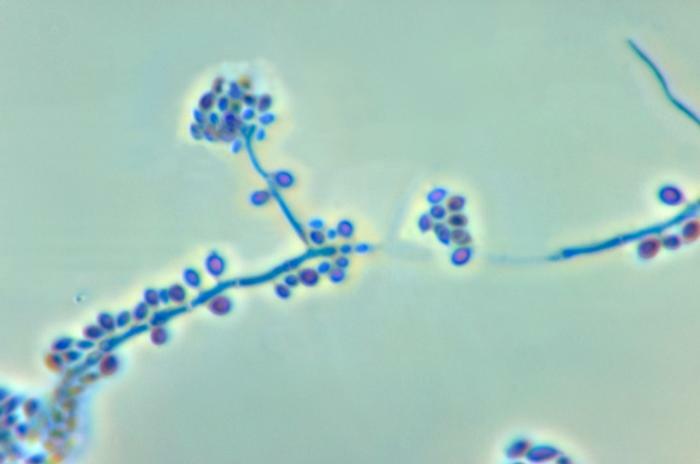 Sulphur granules are formed in pus. Pus discharges through the sinus tracts to the surface of the skin. 1. 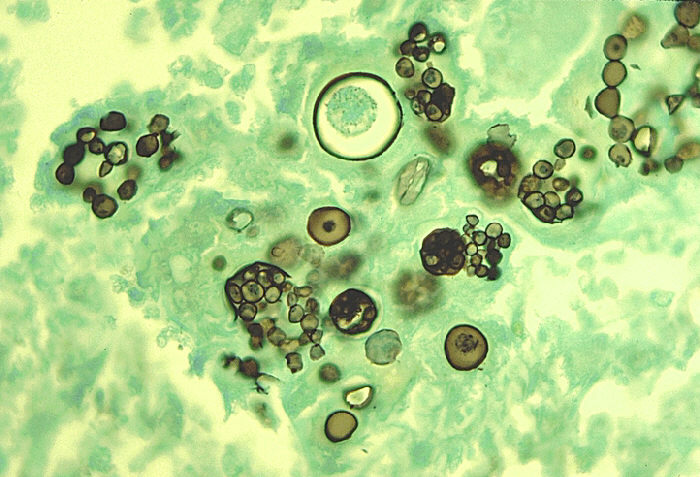 Actinomycosis- hard, non tender swelling. 4. Pelvis actini mycosis appear in women who have retained an intra-uterine device for a long period of time. a. branches are not acid fast. b. club shaped forms that surround the colonies are acid fast. 5. 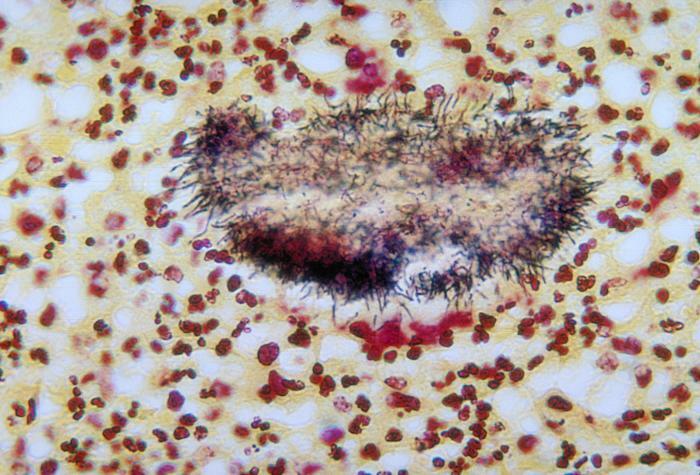 In gram staining, clubs are gram negative. 3. 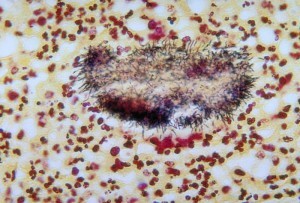 Isolated crushed granules on blood agar. 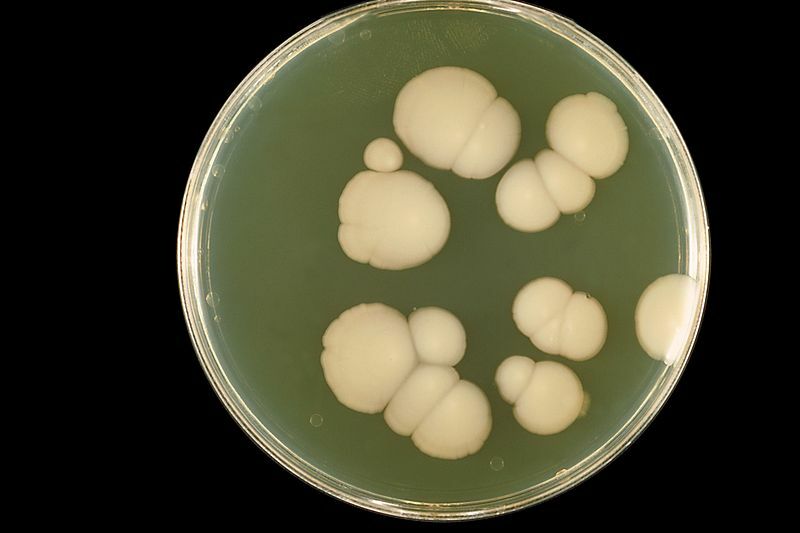 a. smalll cream or white colonies. c. 5 – 7 days of incubation. d. colonies glisten and adhere to the medium. Penicillin G with surgical drainage. No vaccine is available.